Draft: 2008, Los Angeles Dodgers, 18th rd. April 6, 2019 Chicago Cubs selected the contract of RHP Allen Webster from Iowa Cubs. February 6, 2019 RHP Allen Webster assigned to Iowa Cubs. 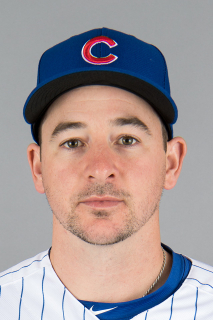 January 27, 2019 Chicago Cubs signed free agent RHP Allen Webster to a minor league contract and invited him to spring training. November 30, 2018 RHP Allen Webster elected free agency. September 19, 2018 Chicago Cubs selected the contract of RHP Allen Webster from Iowa Cubs. August 22, 2018 RHP Allen Webster assigned to Iowa Cubs from Tennessee Smokies. August 9, 2018 Tennessee Smokies activated RHP Allen Webster from the 7-day disabled list. July 13, 2018 Tennessee Smokies sent RHP Allen Webster on a rehab assignment to AZL Cubs 2. April 5, 2018 RHP Allen Webster assigned to Tennessee Smokies. March 2, 2018 Chicago Cubs signed free agent RHP Allen Webster to a minor league contract. November 6, 2017 RHP Allen Webster elected free agency. September 30, 2017 Round Rock Express activated RHP Allen Webster from the 7-day disabled list. June 7, 2017 Round Rock Express placed RHP Allen Webster on the 7-day disabled list. May 15, 2017 Round Rock Express activated RHP Allen Webster from the temporarily inactive list. May 11, 2017 Round Rock Express placed RHP Allen Webster on the temporarily inactive list. May 3, 2017 Round Rock Express activated RHP Allen Webster from the temporarily inactive list. April 28, 2017 Round Rock Express placed RHP Allen Webster on the temporarily inactive list. April 9, 2017 Round Rock Express activated RHP Allen Webster. April 6, 2017 RHP Allen Webster assigned to Round Rock Express. November 15, 2016 Texas Rangers signed free agent RHP Allen Webster to a minor league contract and invited him to spring training. December 16, 2015 Pittsburgh Pirates released RHP Allen Webster. November 25, 2015 Arizona Diamondbacks traded RHP Allen Webster to Pittsburgh Pirates for cash. November 20, 2015 Arizona Diamondbacks designated RHP Allen Webster for assignment. September 8, 2015 Arizona Diamondbacks recalled RHP Allen Webster from Reno Aces. August 31, 2015 Arizona Diamondbacks optioned RHP Allen Webster to Reno Aces. August 30, 2015 Arizona Diamondbacks recalled Allen Webster from Reno Aces. August 7, 2015 Arizona Diamondbacks optioned RHP Allen Webster to Reno Aces. August 5, 2015 Arizona Diamondbacks recalled Allen Webster from Reno Aces. June 30, 2015 Arizona Diamondbacks optioned RHP Allen Webster to Reno Aces. June 13, 2015 Arizona Diamondbacks recalled Allen Webster from Reno Aces. May 26, 2015 Reno Aces activated RHP Allen Webster from the 7-day disabled list. April 20, 2015 Reno Aces placed RHP Allen Webster on the 7-day disabled list retroactive to April 18, 2015. March 30, 2015 Arizona Diamondbacks optioned RHP Allen Webster to Reno Aces. July 26, 2014 Boston Red Sox recalled RHP Allen Webster from Pawtucket Red Sox. March 17, 2014 Boston Red Sox optioned RHP Allen Webster to Pawtucket Red Sox. November 1, 2013 Allen Webster roster status changed by Boston Red Sox. October 25, 2013 RHP Allen Webster assigned to Leones del Escogido. October 4, 2013 Boston Red Sox reassigned RHP Allen Webster to the minor leagues. September 8, 2013 Boston Red Sox recalled RHP Allen Webster from Pawtucket Red Sox. July 10, 2013 Boston Red Sox optioned Allen Webster to Pawtucket Red Sox. June 22, 2013 Boston Red Sox recalled Allen Webster from Pawtucket Red Sox. May 9, 2013 Boston Red Sox optioned Allen Webster to Pawtucket Red Sox. May 7, 2013 Boston Red Sox recalled Allen Webster from Pawtucket Red Sox. April 22, 2013 Boston Red Sox optioned Allen Webster to Pawtucket Red Sox. April 21, 2013 Boston Red Sox recalled Allen Webster from Pawtucket Red Sox. March 15, 2013 Boston Red Sox optioned Allen Webster to Pawtucket Red Sox. November 20, 2012 Boston Red Sox selected the contract of Allen Webster from Portland Sea Dogs. August 26, 2012 Allen Webster assigned to Portland Sea Dogs. March 23, 2012 RHP Allen Webster assigned to Los Angeles Dodgers. May 25, 2011 Allen Webster assigned to Chattanooga Lookouts from Rancho Cucamonga Quakes. April 4, 2011 Allen Webster assigned to Rancho Cucamonga Quakes from Great Lakes Loons. March 12, 2011 RHP Allen Webster assigned to Los Angeles Dodgers. April 4, 2010 Allen Webster assigned to Great Lakes Loons from Ogden Raptors. August 19, 2009 Allen Webster assigned to Ogden Raptors from AZL Dodgers. June 21, 2009 Allen Webster assigned to AZL Dodgers. June 11, 2008 Los Angeles Dodgers signed RHP Allen Webster.